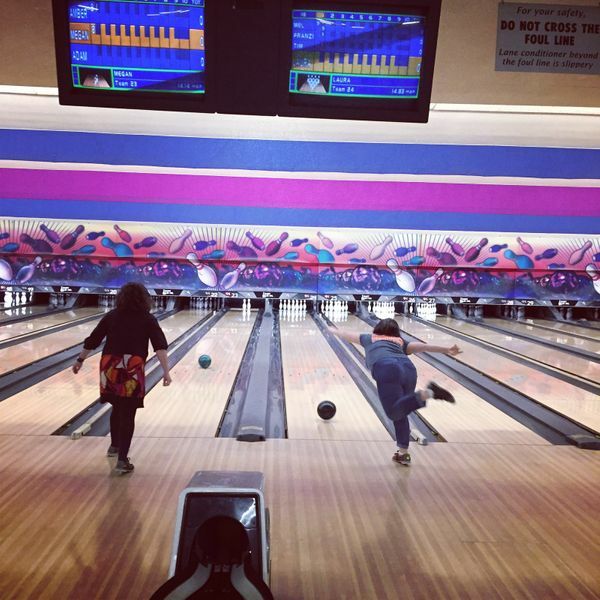 Day 76: Staff bowling 'party'! Several teachers met at Dart Bowl after work today for the official "Staff Holiday Social Hour and Bowling". We all had a blast and I was really impressed with the quality of bowling. It took everything I had to barely edge out the ladies on my lane (and I used to want to be a pro bowler)! Thank you to everyone who showed up and made the evening really enjoyable. You could hear us laughing from many lanes down and our high-fives were definitely contagious.